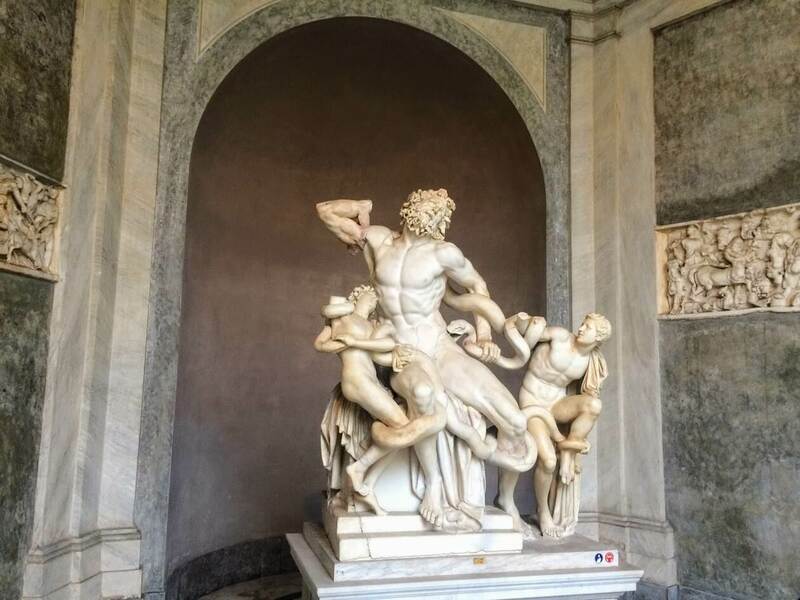 Vatican City is a home to some of the most amazing art pieces in the world! And there are so many of them it’s impossible to see everything in a day. That’s why a good planning is crucial! 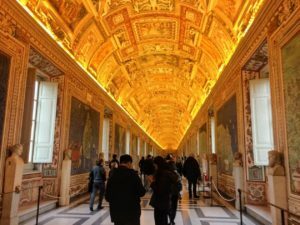 I’ve created here a short guide that should help you in planning your visit to Vatican! 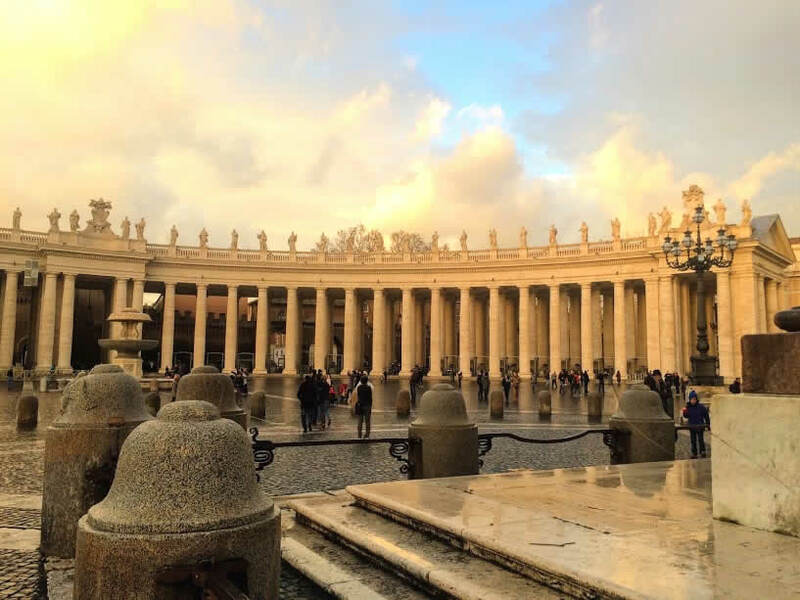 During my recent trip to Rome, we decided to spent one whole day in the Vatican City. 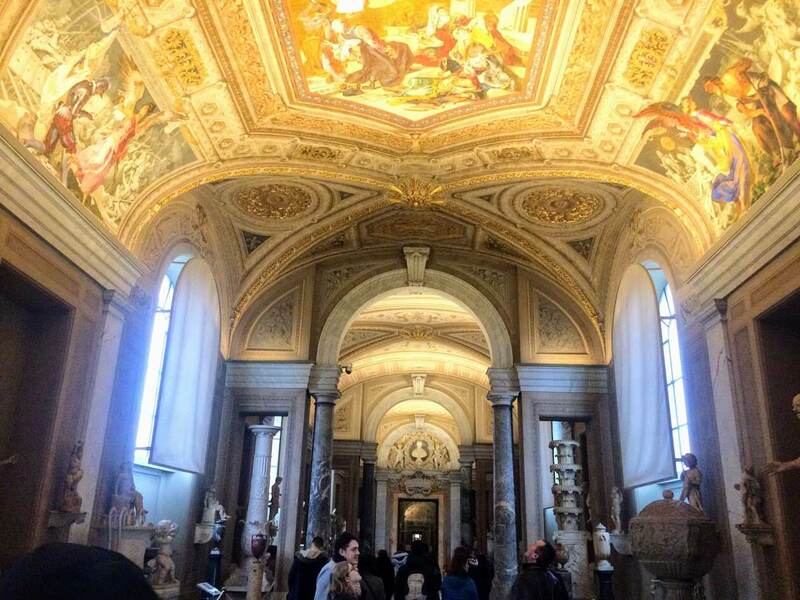 It’s located right in the heart of the Rome, so you can easily access it on foot or by using RED metro line and exit it at ‘Cipro – Musei Vaticani’. 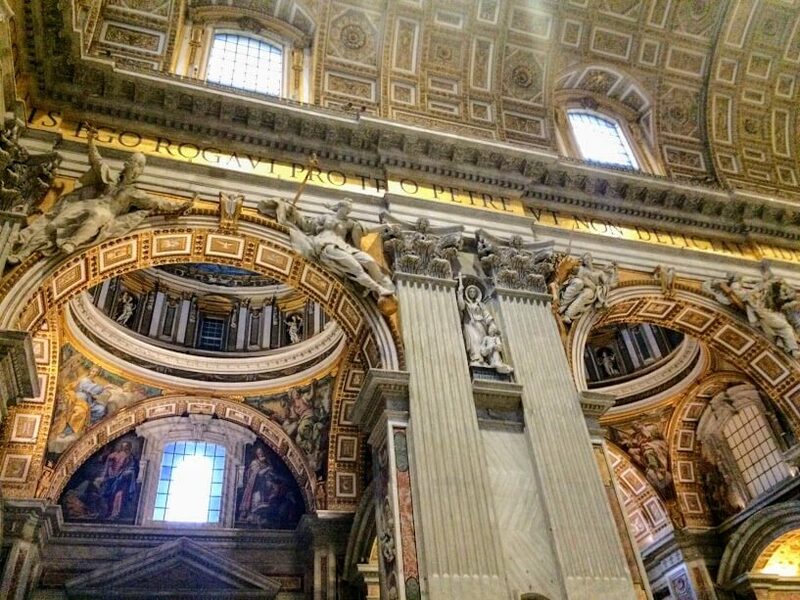 Vatican maybe is a tiny state, but there is just so much to see there. And although there are some interesting things outside the most popular places, because of the huge amount of things to see there, I would definitely stick with the well known sights. 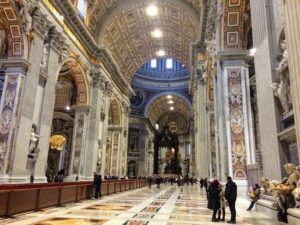 So, here is the itinerary with my perfect plan for visiting Vatican! 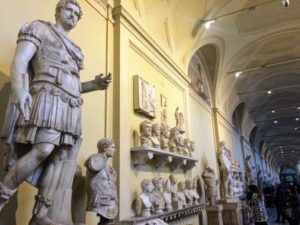 Vatican Museum was founded in the early 16th century by Pope Julius II and till then it’s displaying art collection gathered by popes. 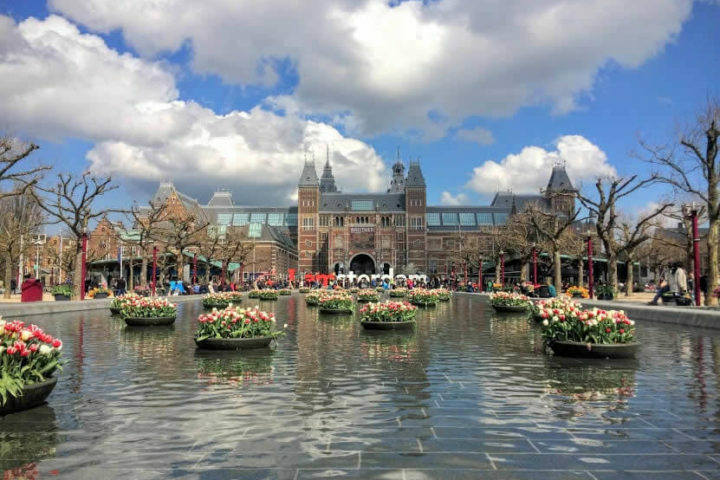 It has one of the best and biggest art collections in the world. The most remarkable exhibits are in collection of the old Roman art (mostly sculptures and mosaics) and Renaissance wall paintings in the private pope’s chambers (Rafael’s Rooms). 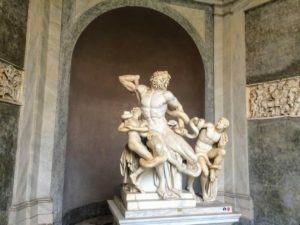 Among the old Roman pieces are some very famous ones like the Apollo Belvedere, Belvedere Torso and Laocoön and his sons. 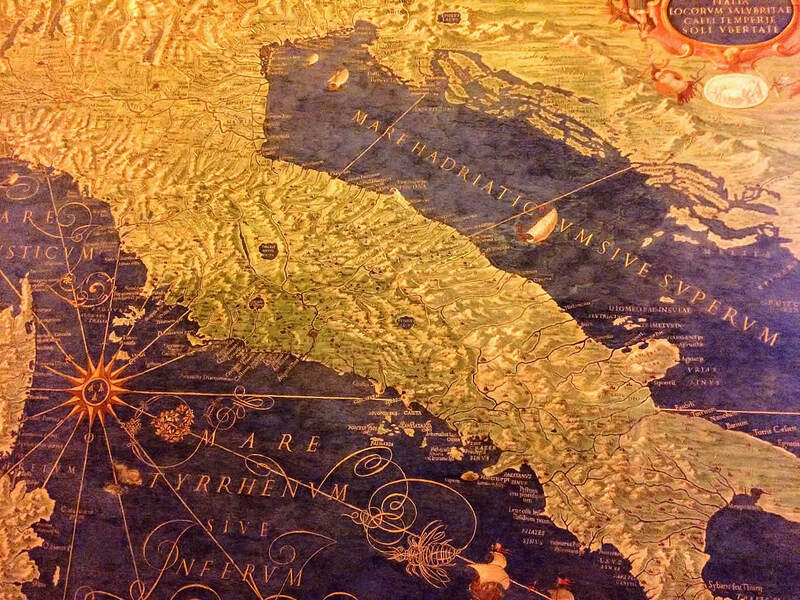 Ancient mosaics that are now incorporated in the museum floor are also something worth seeing. Beside them, ceiling decoration and its optical illusions are amazing. During the Renaissance time some of the most famous masters like Raphael worked on wall paintings in pope’s chambers. 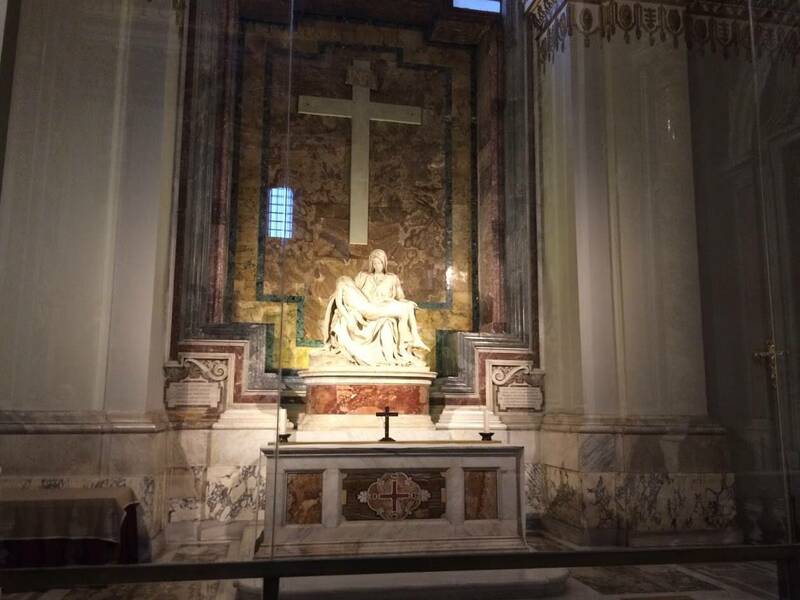 One of the first night scenes here was painted by Raphael – ‘Deliverance by Saint Peter’, in 1514. However, with all its symbolism and portraits of contemporary artists, my personal favorite is ‘The School of Athens’. It’s good to buy your museum tickets in advance, but you should still count on some waiting in queue at the security check (I wouldn’t advise you to bring large bags or umbrellas, because you will have to pick them back here after your visit, which is quite far away from the place where you’ll finish your visit). We booked a small group tour in Vatican and our guide took care of the tickets for us. There are a lot of companies offering their tours over there. We went with Angel Tours and were really happy with organization and our guide, so I would highly recommend them as well (it’s probably good to mention this is not a sponsored post, I am recommending them because I was genuinely amazed with our tour). Sistine Chapel is place where the pope election is taking place, but today is the best known for the amazing wall paintings Michelangelo made there in the early 16th century. It’s a beautiful chapel and it’s amazing to see the place he was so passionate about, working day and night alone on that huge project. He painted the whole ceiling and one of the walls and was working on it alone for eight years in total. It is even more amazing when you know he was working in the fresco technique, meaning he was painting on the wet mortar and had to paint very quickly. Taking photos inside is forbidden, which is actually good because you won’t be distracted with your camera and you can truly enjoy in a beauty of this place. 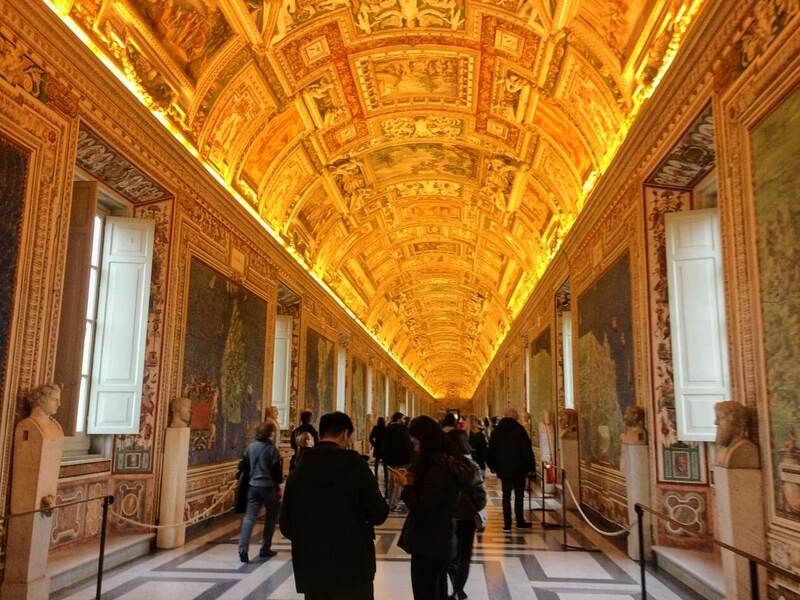 You can get skip-the-line tickets for Vatican Museum and Sistine Chapel at a link here. Saint Peter’s Basilica is the biggest and probably the most important church in the world. 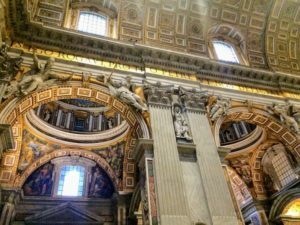 Some of the most significant architects of Renaissance and Baroque period worked on it, making it one of the most beautiful buildings in the world. 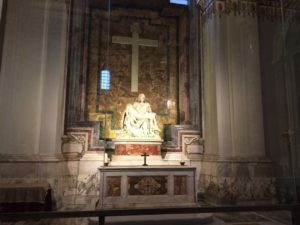 Every single detail in it was well planned and it’s filled with so many famous art pieces, Michelangelo’s Pieta and Bernini’s Baldacchino being just the best known. All of the huge pictures in it are not paintings, but mosaics to make the colours even brighter and more beautiful to viewers. 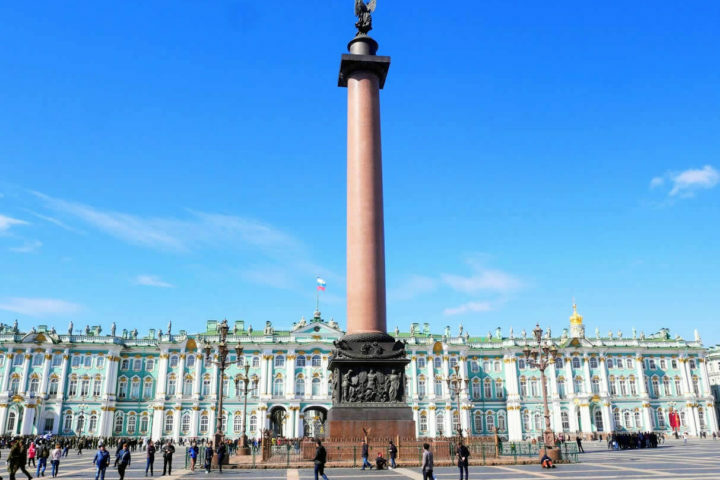 Square as it looks today was designed in the late 17th century and is famous for its beautiful colonnades and a huge Egyptian obelisk in the middle of it. 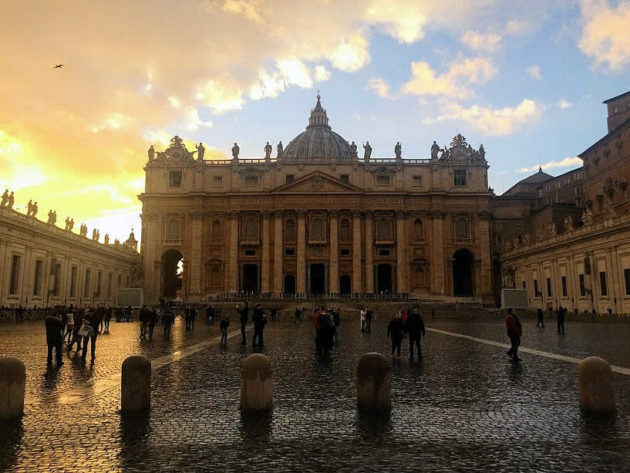 It’s also a place with a great view on Saint Peter’s Basilica and a center of the Vatican City. You can see some of its famous Swiss guards there dressed in their recognizable uniforms. On the left hand side of the Basilica’s entrance is the Vatican Post Office. Here you can send your postcards with a Vatican stamp on them or buy some of official Vatican stamps, postcards and coins. 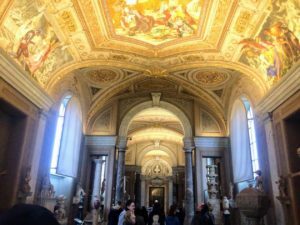 Vatican is definitely a place with intriguing history – good and bad popes, fights for the throne between the rich Roman families that were securing their place by commissioning art from the best artists of their time. It definitely could get overwhelming, but if you prepare well and preferably book a guide it should be a memorable experience!